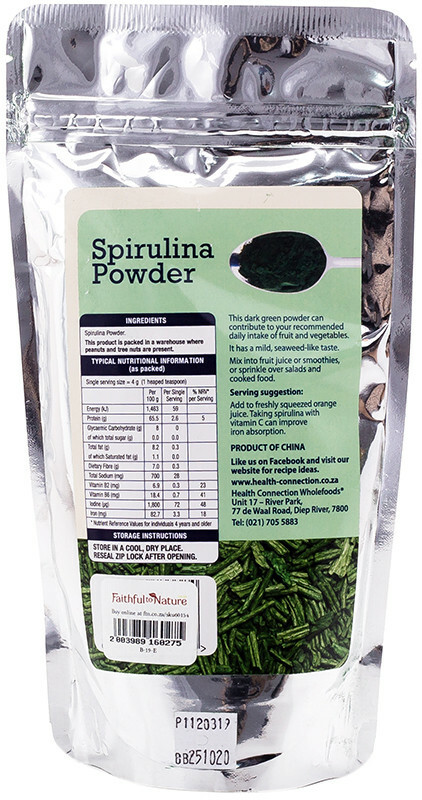 Spirulina is one of the most potent plant-based sources of nutrients in the world! 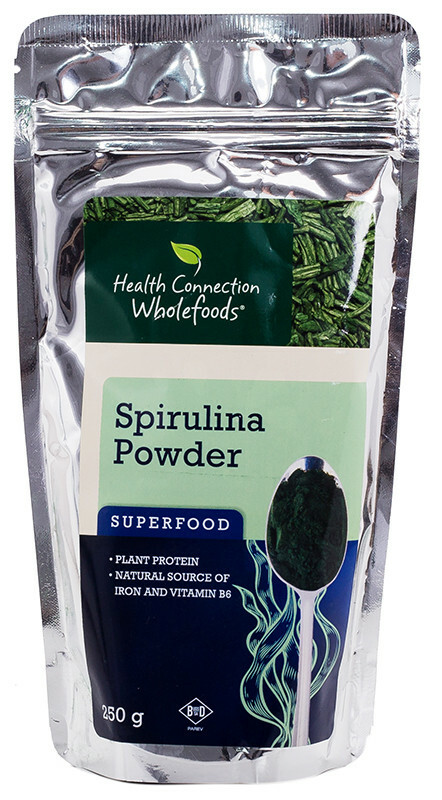 Health Connection gives you an easy way to get your daily dose of green superfood, with a fine spirulina powder that mixes easily into smoothies and juices. This power-packed plant supplement is loaded with iron, protein and iodine, to nourish your body and mind. Note: This product is packed in a warehouse where peanuts and tree nuts are present. This stuff is vile. I couldn't finish my bag because I'm a wuss when it comes to algae apparently, but good for the body if you can get it down. Great source of nutrients, Does have a dominating taste but worth it for me. Definitely not the best tasting superfood out there, however it is packed with loads of great nutrients. Everyone needs this - even your fur babies! Tastes and smells awful, as dried algae should. I have only been using it for 2 weeks, and not every day, but my body seems to be feeling a bit stronger. I would definitely carry on using this, just disguised with sweet berries and tasty fruits of course. If you make smoothies, please don't start with huge helpings of this. It tastes like grass - mostly. But the health benefits are incredible, and I've got a lot more energy too. I do not pretend to like the look, smell or taste of this green but I do put a teeny bit in my smoothies twice a week purely for the health benefits.